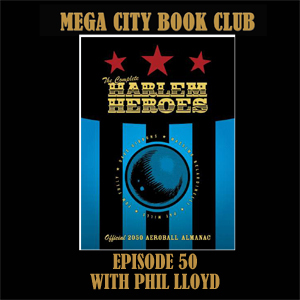 I met up with Phil Lloyd at the Thought Bubble convention to talk about some soaring sports action from the earliest days of the prog. It's those wonderful Harlem Heroes. Get your copy from the 2000AD online store. More Fiends action from the voice of Tharg himself, David Bishop. 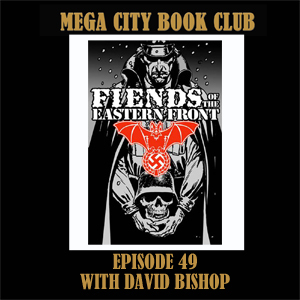 We talk about the original series, his four Fiends of the Eastern Front novels, and his sequel series for the Megazine with Colin MacNeil's art, Stalingrad. Stalingrad is available in the current Fiends collection, all of David's four Fiends novels are on the 2000AD app and on Amazon Kindle, and you can find Blazing Battle Action here. 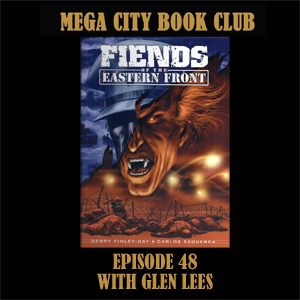 Glen Lees returns to the book club with a classic mash-up of war and horror comics from the early days of the prog. We discuss some great work by Gerry Finley-Day and Carlos Ezquerra and we keep it mostly spoiler free. Get your digital copy of the Fiends from the 2000AD online store.